Don't settle for ordinary, choose extraordinary! Newly remodeled, this ranch home has it all. Light filled rooms, vast open floor plan, freshened with new interior paint, laminate flooring, light fixtures, crown molding & baseboard. Entertain with an elegant formal dining. 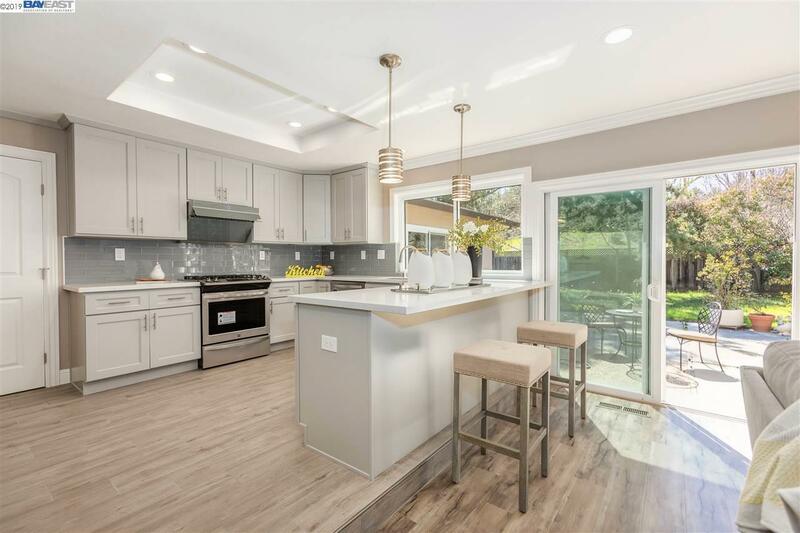 Gorgeous modern kitchen features quartz countertop, gray cabinetry, subway glass tiles, & stainless steel appliances including a touch panel LeKitchen range hood. Cook up your favorite meal to serve on the breakfast bar while enjoying the awe-inspiring view of the Foothills from your kitchen windows. Gather around a cheery family room with a clean lined fireplace. All bedrooms are crisp with overflowing sunlight. Serene hall bath features dual vanities, granite countertop, & ambient mirror lighting. Sit back, relax in new master shower. Premium lot. Walk to schools & more!